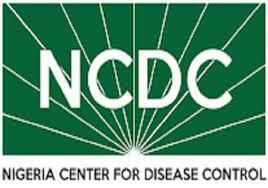 The Nigeria Centre for Disease Control (NCDC) has called for stronger partnerships and investments in scientific research to address public health issues in the country. 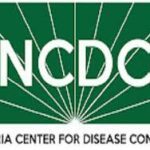 The Head of Communications NCDC, Jeremiah Agenyi, said on Monday in Lagos that the call was made at the 3rd Annual NCDC and Nigeria Field Epidemiology and Laboratory Training Programme (NFELTP) Scientific Conference recently held in Abuja. The event was attended by 200 epidemiologists and public health practitioners who convened to share their scientific work. “This gathering also deliberated on the application of epidemiological methods to address public health issues in Nigeria and globally. “In recent years, the world has experienced the emergence and re-emergence of infectious disease outbreaks. “This includes Nigeria where outbreaks of Lassa fever, Cerebrospinal Meningitis, Monkey Pox, Cholera, etc have been reported in the last two years. “The risk of future outbreaks and possible emergence of an unknown disease highlights the urgency and need to build more resilient health systems and national public health institutes,’’ he said in a statement. It added that, “the NFELTP programme currently, in its 10th year, comprises of a network of highly skilled field epidemiologists who play a key role in safeguarding national and global health security. The Minister of State for Health, Dr Osagie Ehanire in his keynote address at the conference with the theme: “Strengthening Health Security through Field Epidemiology,” underscored the importance of the NFELTP programme. “He called on stakeholders to work together, as achieving national and global health security requires a multi-sectoral approach. “One thing that has stood out for us in Nigeria and for our sister countries in Africa is the rise of field epidemiologists as foot soldiers during outbreaks. “We saw it in Liberia, Guinea and Sierra Leone during the outbreak of Ebola where in fact many residents and graduates of the Nigeria FELTP were part of the mission. “We have seen this in every outbreak Nigeria has had to respond to over the last few years,” the statement quoted Ehanire as saying. The NFELTP programme is a great source of pride to the Ministry of Health and Government of Nigeria.” he said. Also, the Chief Executive of NCDC, Dr Chikwe Ihekweazu, restated the importance of stakeholders working together in Nigeria and the need to strengthen public health institutes on the continent to achieve their mandate. “Increasingly, with the complex public health landscape, ensuring national health security is no longer limited to the government alone. “Individuals, businesses, communities, academia and all levels of government have important roles to play in protecting the health of Nigerians,” Ihekweazu said. “In the past year, the NCDC and NFELTP programme have made great progress in preventing, preparing for, detecting and responding to disease outbreaks. “At the conference, attendees agreed that a gap still exists in the scientific evidence required to detect new emerging diseases, with the need to strengthen this area,’’ he said. “The conference attracted stakeholders from the public sector, academia and international public health community. “They include: Federal Ministry of Health, Federal Ministry of Agriculture and Rural Development, U.S. Centres for Disease Control and Prevention (US-CDC), WHO, UNICEF, National Agency for the Control of AIDS (NACA). “Others are National Primary Health Care Development Agency (NPHCDA), Ahmadu Bello University, University of Ibadan and Public Health England (PHE).